The Sonoma County Vegetation Mapping and LiDAR Program, which is similar to current ongoing countywide fine scale vegetation mapping efforts in San Mateo and Marin Counties. NASA Funded research designed to update existing Sonoma vegetation data sets ad analyze the impact of the fires across the landscape, and discover and quantify relationships between fire damage and landscape charactaristics such as vegetation weather, land use, and land management patterns. Overview and results from a survey to understand the use of Sonoma's Vegetation Mapping and Land Cover Map Products in fire response, post-fire recovery and resilience planning. Join us for a networking lunch from 12:00 pm to 1:00 pm (immediately following the workshop) provided by District 3 Supervisor Don Horsley. 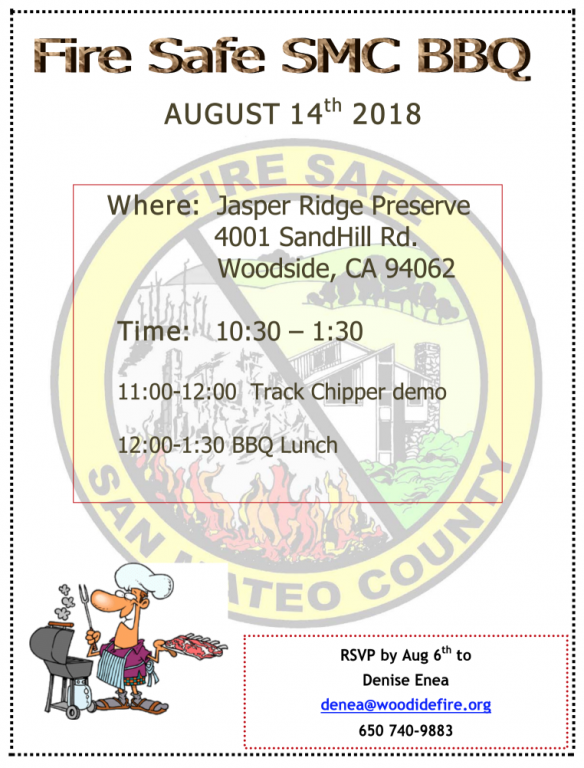 The Bay Area Prescribed Fire Council is hosting their first Spring Meeting and Tour Thursday May 2nd and Friday May 3rd in Morgan Hill/ Henry Coe State Park. This will be a conveinging of prescribed fire practitioners throughout the Bay Area. Come learn from their experiences and share your own. Friday will be a tour of nearby Henry Coe State Park, their prescribed burning, and wildfire history with park employees and Cal Fire. CZU August 31th LFM is posted at National Fuel Moisture Database and summarized below. Results were all within average for this time of year. CZU July 26th LFM is posted at National Fuel Moisture Database and summarized below. The Pulgas location was at average levels but all other locations were below average for this time of year. CZU June LFM is posted at the National Fuel Moisture Database and summarized below. A decline in fuel moisture was observed at all sampling locations, but levels are near average for this time of year. The increase in old growth moisture at Corralitos was likely a sampling error. This will be confirmed when the next sample is taken. On our "Home" page, click the "About Us" tab, and then "Meetings". You will see two options, "Agendas" and "Minutes". Click "Minutes" to find the one for this meeting in the 2017 folder. Click on the link below for a copy of A Special Report from the Ecological Restoration Institute at Northern Arizona University to the U.S. Department of Interior, Office of Wildland Fire. 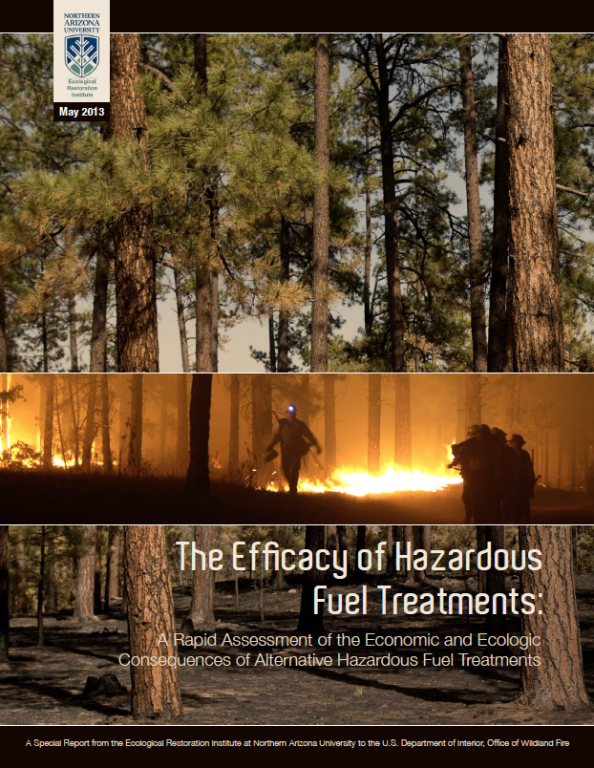 The reports covers the efficacy of hazardous fuel treatments and is a rapid assessment of the economic and ecologic consequences of alternative hazardous fuel treatments. Wildland fires are a serious threat to lives and property in the U.S. The combination of drought, warmer temperatures, high winds and an excess of dried vegetation in forests and grasslands has made fire seasons progressively worse over the past 50 years. And, in the last decade, wildfires have burned over 80 million acres of these lands. According to the National Interagency Fire Center (NIFC), 2015 saw one of the worst fire seasons in decades, with over 10 million acres burned. According to the NIFC, 2015 saw more than 68,000 wildfires burn over 10 million acres. The National Association of State Foresters (NASF) cites more than 72,000 U.S. communities are at risk from wildfires. Be sure to check out this video from Dr. Jack Cohen, Fire Science Researcher, at the USDA Forest Service for details about how a house could survive a wildfire.